The Hartke LH1000 1000W Bass Amplifier Head for Hydrive Cabs. Packs a huge punch in a portable, roadworthy package. The Hartke LH1000 bass amp head has a classic 12AX7 Class-A tube front-end design with a solid-state output. Trick out the Treble and Bass Shelving to give its warm tone a little edge, or use the brite and limiter switches to further sculpt your sound. Its intuitive front panel design also makes adjustments on the fly a breeze. Although the Hartke LH1000 Bass Amplifier is a perfect complement to Hartke HyDrive cabinets, it also works as a seamless accompaniment to any bass cab on the market. 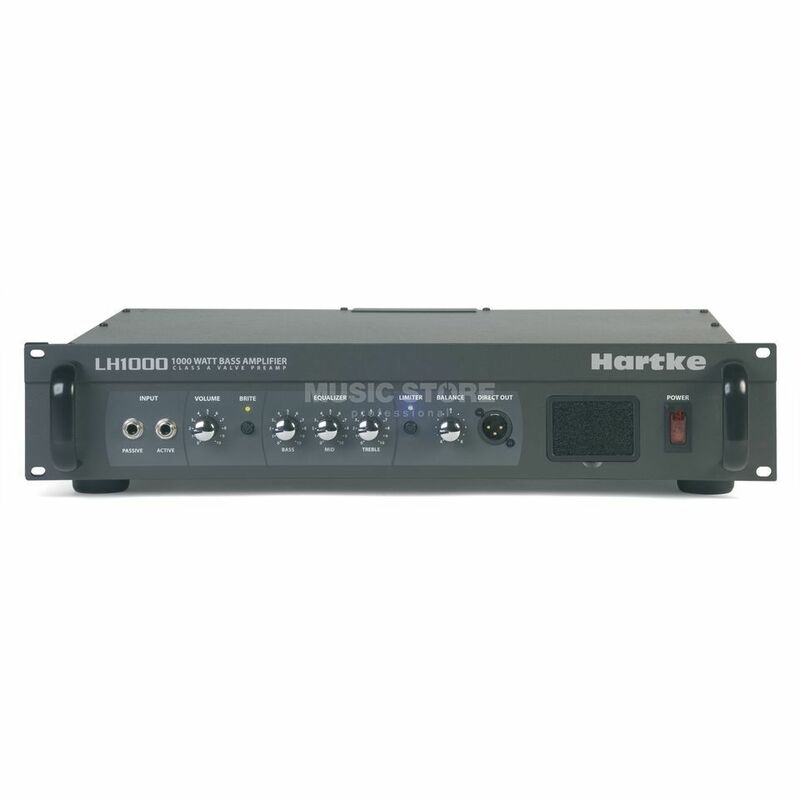 Obviously a head with this kind of power is perfect for gigging musicians in any number of live applications, which is why Hartke made sure the LH 1000 is as durable as it is versatile and powerful. With a two-rackspace, metal frame chassis, steel faceplate and handles, this amp is made for the road. The LH1000's raw, reliable power is also perfect for additional shaping through your effects console or stomp box. With all the necessary features for complete tonal control, along with ample power and rugged design, the LH1000 bass amp head will ensure your bass playing receives the positive attention it deserves. Excellent amp, built like a tank, packs enormous amounts of power and great sound.